We are a group of developers from Mauritius who loves to code and are passionate about information security. 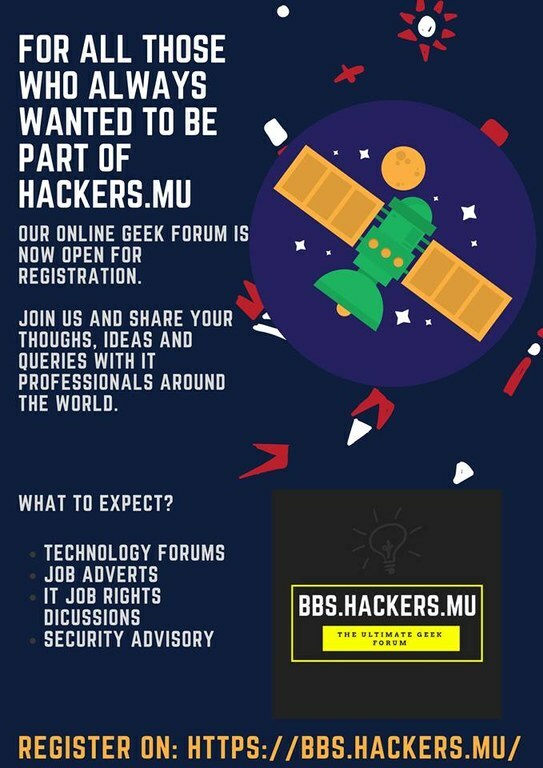 Welcome to hackers.mu™, we are a community attempt by GeniusLab ltd. We are a group of Opensource developers from Mauritius. The aim of this community effort is to work for the betterment of the developer community in Mauritius. Among us, we also have people who likes to contribute to the general Linux, BSD and Other Open Source projects.We at hackers.mu also spend a lot of time teaching and mentoring students on the importance of contributing to the opensource. We as well provide free meetups, talks, and events in view of helping the betterment of the community. April: hackers.mu participates in AIS 2018 hackathon, read more. January: New year means, a review of the past year. We had a great time together, and we have conquered quite some milestone that we had set.